A truly unique design by neckwear maker Cavallieri. The houndstooth check inspired pattern is woven into the fabric - creating a nice contrast for any solid colored dress shirt. 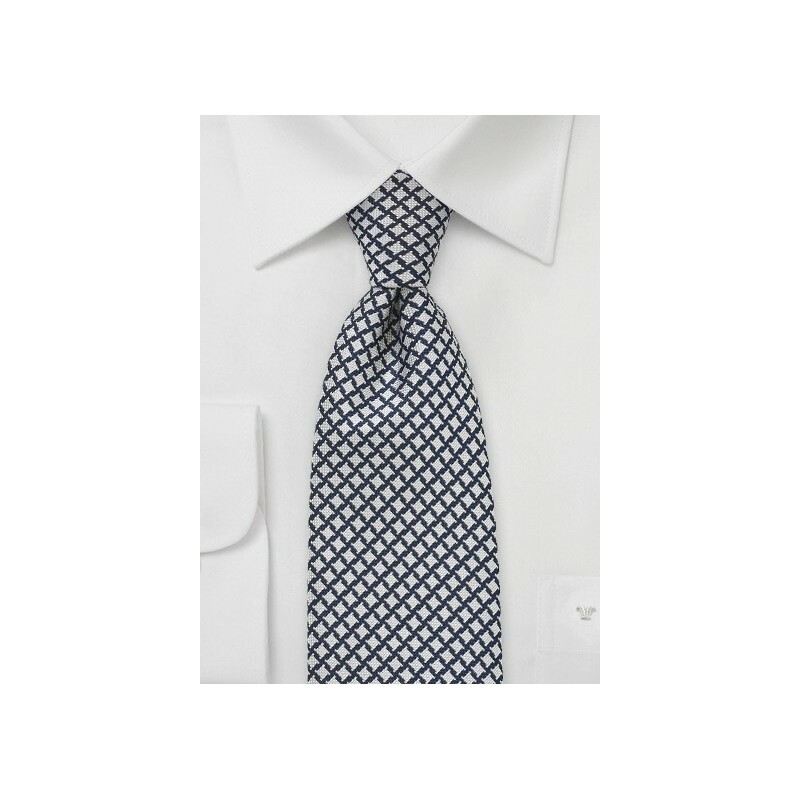 We suggest you pair this tie with a solid white shirt, dark wash jeans, and gray Harris Tweed sports coat - a look that will make you the best dressed man in the room! Like this design but want more color? 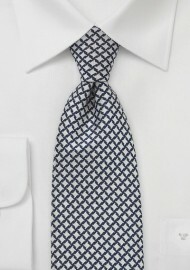 Then we also offer this tie in two other colors - both part of Cavallieri's latest Fall collection. Handmade from 100% silk.